30 Days of Biking is what it's all about folks. You know the rules: For 30 days in a row, you ride your bikes at least once and then tweet and/or blog about the experience using #30daysofbiking hashtag. Easy, right? But how about dressing up to the nines and going for a bike ride with a bunch of folks? Fashion Frolic ride, happening this Friday, april 15th will allow you to do just that. Description: It's fashion week in Minnesota, which means it's fashion week on your bike! Wear some trendy togs, make it flashy or classy, and let's prove to the world that it IS possible to stop traffic on a bike—with good looks alone. This will be a shorter ride leaving from Powderhorn Park and ending at Voltage at First Avenue. Use the hashtags #mnfw and #fashionfrolic in addition to #30daysofbiking. 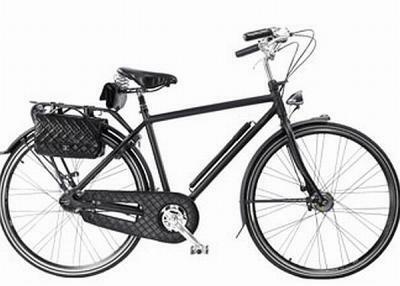 We're going to hop on this Chanel bike and meet you there. Yeah, in our dreams. Via 30 Days of Biking.